When it comes to ODIS, batting becomes a much tougher task as there is a less amount of time to play it out against a bowling attack, especially a strong one. So a presence of big partnerships is always a must so that the team can press the accelerator button in the final overs and slog to get a big score in the 50 overs, whether it is batting first or batting second. Here are the highest partnerships from the first till the tenth wicket of the innings of all-time. Sanath Jayasuriya and Upul Tharanga will down in history to create the highest partnership in ODI cricket of all time. The Sri Lankan opening pair were in full flow and that too in a match against England in England in 2006. With a partnership of 286 runs in a span of a mere 31.2 overs, the match was already out of the hosts’ hands who had scored 323 earlier, batting first. Tharanga was the man dismissed on 286, supporting Jayasuriya with 109 but it was the Lankan veteran who stole the show with 152 runs off just 99 balls as the onslaught ensured that Sri Lanka whitewashed England 5-0 and that too in their backyard. 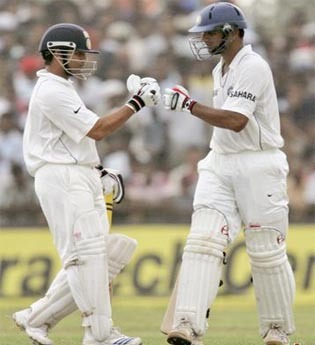 Rahul Dravid and Sachin Tendulkar had a feast of monumental partnerships in the year 1999, especially in the one-day game. 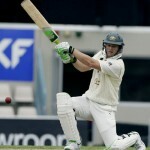 They put together as many as 331 runs for the second wicket, against a relatively weak New Zealand side in Hyderabad. Rahul Dravid used to bat at No.3 in ODIs those days, and came into this game a few months after he had put on 318 with Sourav Ganguly in a World Cup game at Taunton against the defending champions Sri Lanka. 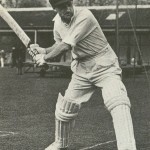 He went on to score a run-a-ball 153, his highest score in ODIS throughout his career. While Tendulkar, the Indian captain in this game was on a roll, hitting an unbeaten 186 off just 150 balls. This partnership remains the highest for any wicket in ODI cricket so far. It is yet again Dravid and Tendulkar! And co-incidentally the same year, 1999. But this was in the World Cup and the match was against minnows Kenya at Bristol. The Indian legends were involved in an unbeaten 237 run partnership with Tendulkar batting at No.4 in this game, after attending his father’s funeral a few days prior to this game. But his mental strength was in exhibition as he scored a memorable 140 not out while Dravid again was content in playing the supporting role, scoring a 101 not out as India finished with 329 for 2 in 50 overs, and went on win by 94 runs. India may not have been a successful ODI side in the 90s but they had a dearth of world-class batsmen, capable of carrying the team ahead even when in trouble and actually winning them matches more than the bowlers would. Mohammad Azharuddin and Ajay Jadeja will be the second pair after Dravid and Tendulkar to feature in this list. Azhar and Jadeja were involved in an unbeaten 275 run partnership against Zimbabwe in Cuttack in April 1998. Azhar, who was the captain in this game and batted at No.4, finished with a brilliant 153 not out batting 25 overs out of the 50, while Jadeja also scored 116 runs off just 121 balls as India who were 26/3 at one stage, reached 301/3 in 50 overs. Their partnership was enough to demoralize the Zimbabweans and India won by 32 runs eventually. Azharuddin and Jadeja put together another gigantic partnership in 1997 as well. This time, it was the Rangiri Premadasa Stadium in Colombo against hosts Sri Lanka. Sri Lanka batted first to register 302 runs on the scoreboard in 50 overs, and it was a mountainous task for India to chase 303 against a Lankan attack comprising Vaas and Muralitharan back then. But Azhar and Jadeja got India mighty close of the target with a 223 run partnership for the 5th wicket as Azhar had to bat at No.5 and Jadeja had to at No.6, because Robin Singh was promoted as a pinch-hitter. Unfortunately, India lost by 2 runs with the wicket of Jadeja creating the downfall after he played so well for his 119 while Azhar remained not out on 111. This is the one of the most incredible cricket records of them all. It is because the holders for the highest 6th wicket partnership in ODI cricket are from two different countries. Yes, you read it correctly as it is Mahela Jayawardene of Sri Lanka and MS Dhoni of India who struck a 218 run partnership for Asia XI against Africa XI in Chennai in the 2007 Afro-Asia Cup. This match was given international status by the ICC and thus the record stands valid in cricketing history. Jayawardene, batting as low as No.6 in a line-up filled with top-quality batsmen, scored a composed 107 runs off just 106 balls before being dismissed in the 47th over while Dhoni batted at his usual No.7 spot then in ODIs, and remained unbeaten on 139 runs off 97 balls, scoring at an extremely brisk pace. From 72/5 in 16.4 overs, Asia reached 331/8 in 50 overs and in the end, it was a thrilling match to watch with Asia winning by 13 runs. Zimbabwe should be proud of holding some worthwhile record, being minnows in all forms of cricket. Andy Flower and Heath Streak, the country’s two best cricketers of all-time were the architects in building a 130-run partnership for the seventh wicket against England at Harare in 2001. The home team was reeling at 127/6 in 27.2 overs, when Streak, the captain came out to bat with Flower. By the time Streak was dismissed, Zimbabwe’s score went past 250 and Flower’s unbeaten 142 runs off just 128 balls, ensured that he gives his team a glimmer to hope to win that contest. Unfortunately, the bowlers contrived to hand England a 4-wicket victory and with this, the visitors already won the one-day series. This time, it is India who is at the receiving end of a mammoth batting partnership. The South African all-rounders Justin Kemp and Andrew Hall were accountable for putting up an unbeaten 138 run partnership in Cape Town in 2006. India had South Africa in trouble at 136/7 at one stage. But Kemp batting at No.7 and Hall at No.9 decided to have some fun, as they had nothing to lose. Kemp went berserk, scoring a 100 not out off 89 balls which included seven sixes. While Hall completed the demolition job ending with 56 runs off 47 balls, effectively India’s chances of winning the game as 274 was a big ask on that wicket and an out-of-form batting line-up. This will be one of the most unforgettable and unbelievable partnerships of ODI cricket of all time, easily. Angelo Mathews and Lasith Malinga, out of all pairs and against all odds stayed at the crease almost till the very end heroically to win Sri Lanka a lost game. It was against Australia in Melbourne in November 2010. On a tough batting wicket, Australia managed a mere 239 in 50 overs. But Sri Lanka were on the back foot for the 75 overs of the ODI, being 107/8 in 25 overs when Malinga joined Mathews at the crease. It was one of the most outstanding fightbacks to watch in ODIS with Matthews holding fort at one end while Malinga doing what a tailender does best, hit if not get out. Mathews ended with 77 runs off 84 balls while Malinga famously scored an unbeaten 56 runs off 48 balls to guide Sri Lanka home at the MCG by 1 wicket, and going 1-0 up in a 3 match series. This one is from the old days when West Indies dominated world cricket to the fullest. They were playing England in Manchester in May 1984, eleven months after losing to India in the World Cup final in the same country. Almost all the batsmen were out in single digits and it was 166/9 when Michael Holding, the No.11 joined Viv Richards at the crease. 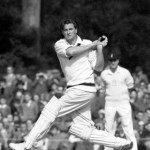 Holding astonishingly faced only 27 balls in his innings, scoring 12 runs while Richards finished with a marathon 189 runs off 170 balls smashing as many as 21 fours and 5 sixes. It went to prove how assertive Richards was in partnership and proved his greatness as one of the finest batsmen of his era as he almost single-handedly helped the West Indies beat a tough England side from behind. They got a crucial 1-0 lead which allowed to eventually win the 3-match series by a margin of 2-1.